Welcome back to day 2 of Stamp Highlights! Today we are waking up and smelling these flowers! These Pretty Peonies are just oh so beau-ti-ful! Anna's card is so fresh! She did a great job layering this bouquet! 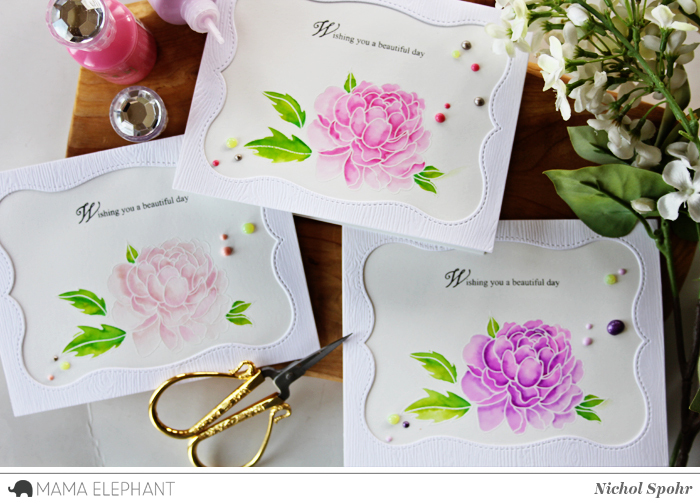 We love how Deasy combined the Peonies with with these fancy cuts! The Lafayette frame and the fringe makes a great Ombre background! Inspired by the latest Beauty and the Beast movie, Pamela substituted the rose for some peonies and enclosed them in a frame using Framed Tags - Lafayette. 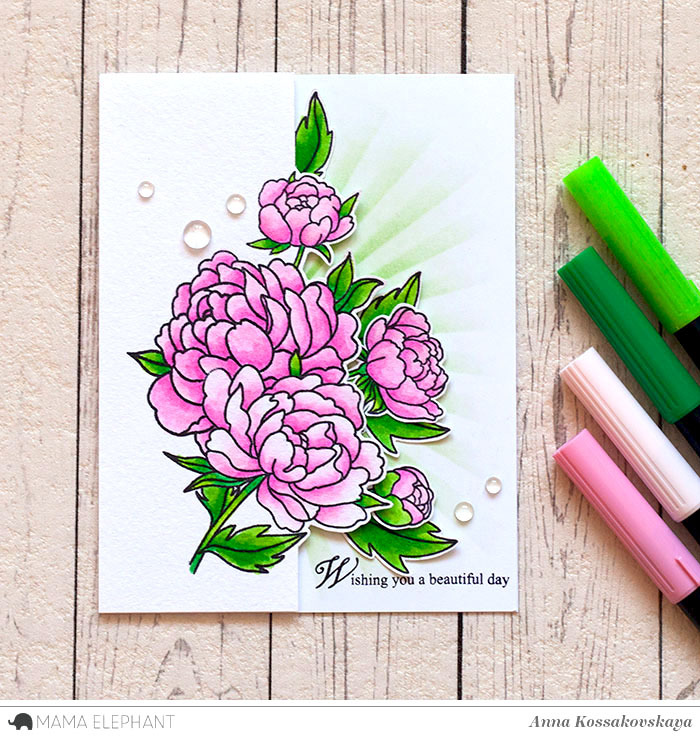 Nichol created a quick an easy set of watercolored peony cards by coloring with Zig Clean Color Real Brush Markers and water. I love those peonies! The cards are gorgeous. 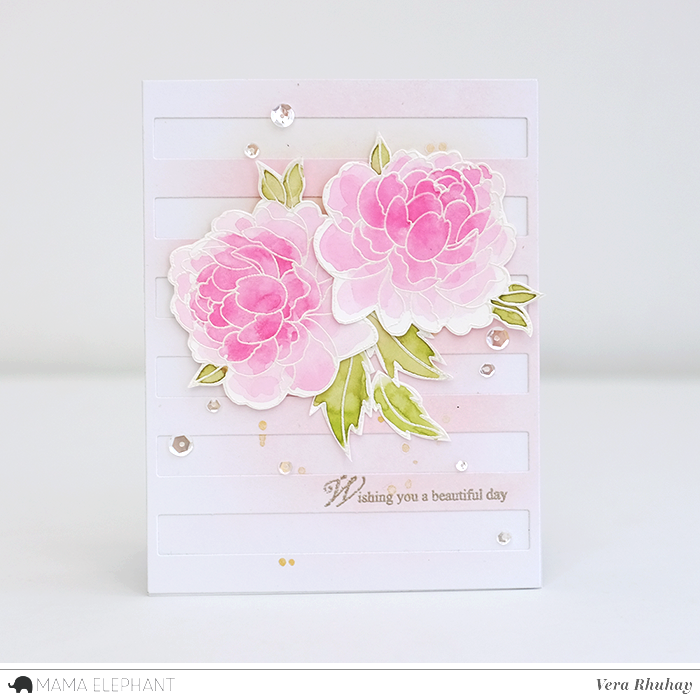 Love, love, love the peony stamp. 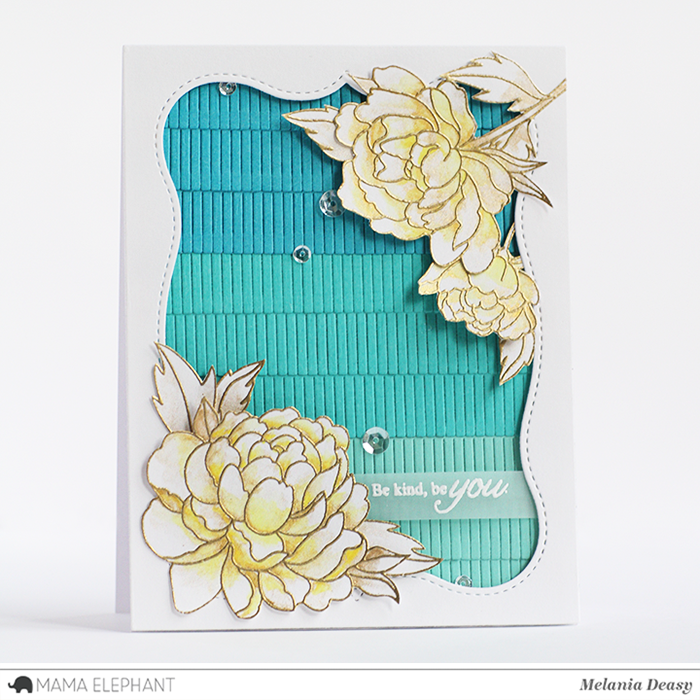 So many fabulous ways to color it and all the designers made beautiful cards. 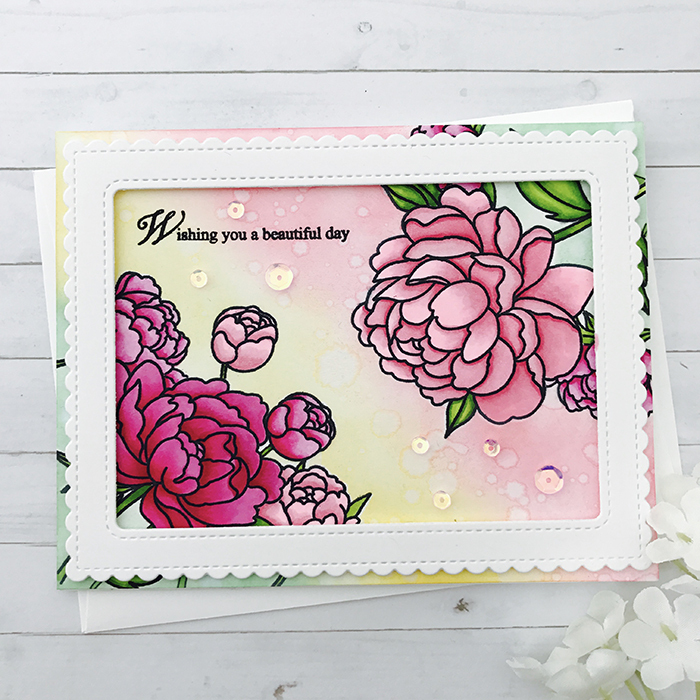 I absolutely LOVE peonies and these cards are so gorgeous using your stamps. All very beautifully done! Such beautiful cards! The flower image is gorgeous and all the layouts are so creative. Lots of inspiration here! These are all such beautiful cards. I love peonies. My cousin raises them to sell and they have a big field of all colors. 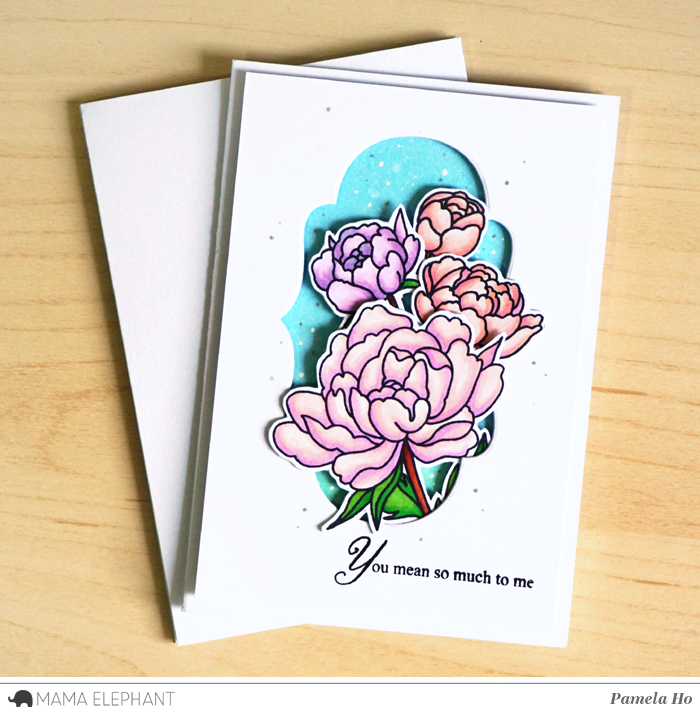 Gorgeous flowers and these cards remind me of that. Oh my, I love all of these cards! Wow! Everybody did such a great job. Might be just the "no fail" set I need. Stunning designs! Love these peonies, thanks for the inspiration!